It's big news, set to shock, amaze, and entertain the world. But unfortunately, it's got nothing to do with extraterrestrial stoners melding with Earth's plants. However, since you're now reading, you'll almost certainly be interested in this research that looked into the clicking and sharing behaviors of social media users reading content (or not) and then sharing it on social media. We here at IFLS noticed long ago that many of our followers will happily like, share and offer an opinion on an article - all without ever reading it. We're not the only ones to notice this. 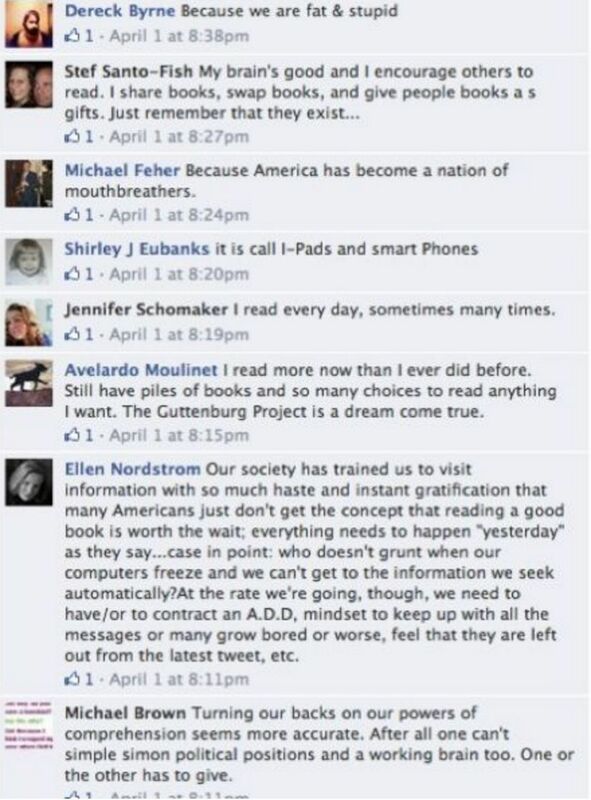 Last April, NPR shared an article on their Facebook page which asked "Why doesn't America read anymore?". The joke, of course, is that there was no article. They waited to see if their followers would weigh in with an opinion without clicking the link, and they weren't disappointed.